At Styles Hangers Corp., we are focused on providing your company with hangers that meet your needs while achieving the highest levels of customer satisfaction. We stock standard models of hangers in our warehouse in Sayreville, NJ, so we are able to ship to you quickly and efficiently. We will custom make hangers to your specifications, working closely with our factories in China to provide the best quality hangers with the visual appearance you are looking for. Look around our website to view both our in-stock hangers as well as some custom options that are available. If you do not see what you are looking for or have any questions, please feel free to contact us. Need hangers fast? We can ship in-stock hangers within a few days. Don't just settle for cookie-cutter hangers for your store or hotel. 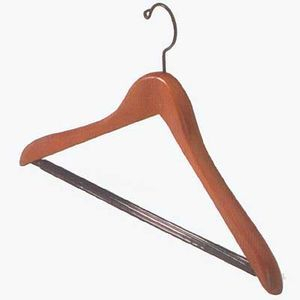 We will custom build hangers with the look, quality, and functionality you want to achieve.